Please write the classes you / your child will be taking in the box provided below. REGISTRATION POLICY: Registration is for a full 10 month program or 33 classes. Tuition is due on the 1st of each month. You will receive an invoice. You may pay in full when you register, or pay monthly with credit card/debit card. Should you wish to alter or drop classes, a Change/Withdrawal Form must be completed and returned to the office. You are responsible for payment until our Change/Withdrawal Form is received by the DDS office. Dance policy: You must pay for the entire month in which we receive a Change/Withdrawal Form. No partial or full months tuition will be refunded. Music policy: 30 days notice must be given. Monthly payments must be made until 30 after a Change/Withdrawal Form is filled out and received by the DDS office. WAIVER OF LIABILITY: I agree that I will not hold The Dance Design School, or any employee/teacher liable for injuries sustained or illness contracted while a student is at the class location. I have read, and understand the Policy Statement, RAD Statement and the Waiver of Liability, and agree to comply with the terms of them. PHOTO RELEASE: I hereby grant permission to Dance Design School, Inc. to use my photograph on its Website or in other Dance Design School publication(s) without further consideration. 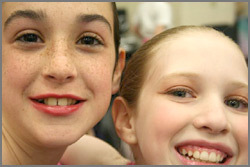 I will make no monetary or other claim against Dance Design School, Inc. for the use of the photograph(s)/video. I also acknowledge Dance Design School, Inc. may choose not to use my photo at this time, but may do so at its own discretion at a later date.